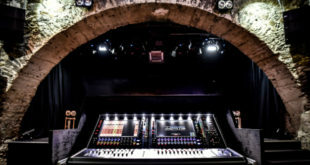 Audio Pro International Rising Star of 2012 Phil Gornell has recently returned from a headline tour with UK rock outfit While She Sleeps, where an Allen & Heath GLD console played a key role in his FOH mixing duties. Having picked up the Kerrang! Award for Best newcomer 2012, the tour marked the band’s first major headline tour in support of their debut full-length album This is the Six. The shows varied from London’s Electric Ballroom, to the band’s hometown show at the Sheffield Corporation. 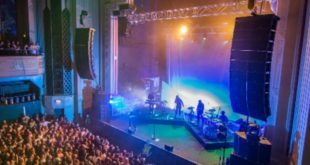 Throughout the tour, Gornell utilised an Allen & Heath GLD mixing console at FOH; a console that he believes has extrapolated from the Allen & Heath iLive to provide a highly versatile solution to live sound mixing. 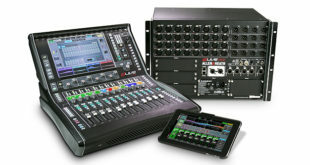 “The GLD was the perfect partner for me on the tour. We needed something compact but that could really pack a punch sonically,” Gornell explained. Commenting on the range of features offered by the GLD, he noted: “There are many features on the GLD, which have been passed down from the ilive, and in most cases improved on. 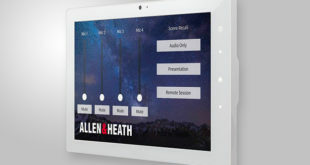 The layout of the touch screen is much faster to navigate now, with different aspects of channel processing clearly laid out. Being able to simply grab out problem EQs with the touch screen is a feature that I loved in the ilive and now it’s crossed over to the GLD, with, in my opinion, a more musical – for want of a better word – sounding EQ.